The Noka Lumia 1020 is clearly the most exciting launch today as it shakes the very grounds of smartphone photography with its 41-megapixel camera, but software while not as flashy as a smartphone launch is just as big a part of the success of a device as its hardware. That’s where Nokia’s biggest announcement after the Lumia 1020 came - the Windows Phone Marketplace now has 165 000 applications. Not just the number is growing, though, some extremely nice apps we know from other platforms like Flipboard, Vine and Path will be launching for Windows Phone 8 in the very near future. For those that have somehow missed those apps, Flipboard is a unique magazine-styled news reader, Vine is Twitter’s addictive 6-second video sharing service and Path is a more personalized social network for only your closest connections. We were really hoping that Nokia would announce Instagram for Windows Phone 8 today. That would have made many people happy and would have added that extra flare to the already amazing 41-megapixel camera on the Lumia 1020. While that did not happen, Nokia’s Pro Camera offers a ton of neat options and there are many other ways to get your photos outfitted in vintage colors. 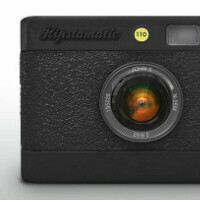 To make up for that, Nokia unveiled that Hipstamatic Ogg Pro is coming exclusively to its Lumia 1020. Great news! didnt the girl from nokia show in the presentation that you could upload to instagram from the lumia 1020? while not an official app, you can still use instagram if what she showed is true. Not only showed, she said so too! You can. The app is called instance. It has been on wp8 for at least a month now. These are some big name apps that I'd like to have on Windows Phone 8 commited to the platform, especially Path! Glad to see the company committed to bring the app to Lumia devices. Nokia is really pulling all the strings to make WP more awesome! I love Flipboard and I can see Vine is also very popular recently. This is a very good time for Lumia devices and WP. Not too worry on not getting official Instagram yet. There are some really awesome 3rd party Instagram apps on WP. Surprised no instagram still especially with the apparent good relationship between Microsoft and Facebook.